Wow! I'm safely back home after a successful public-speaking tour of New Zealand. It was quite a roller-coaster of a fortnight, taking in 11 speaking engagements. The trip took me to Aukland, then Tauranga (the most populous city in the Bay of Plenty region of the North Island of New Zealand), then Wellington, back to Hamilton and then back to Auckland. On occasions we were cross-crossing the country, but it was wonderful to take in the scenery and meet the people. The timetable was pretty tight on occasions. For example, my flight in to Auckland was diverted through Bahrain and ran late. I had to be picked up from the airport by a guy who had obviously done some Formula 1 training and literally had to change into my suit in the hotel toilet before going on stage for my first speaking engagement. My role was similar to my work as a wealth mentor/coach for Kevin Green Wealth (http://www.kevingreen.co.uk/), helping people form their ideas about business and putting them on the right path to making money. I was working hand-in-hand with David Leon, a Spanish guy I actually trained through my wealth programme a few years ago. 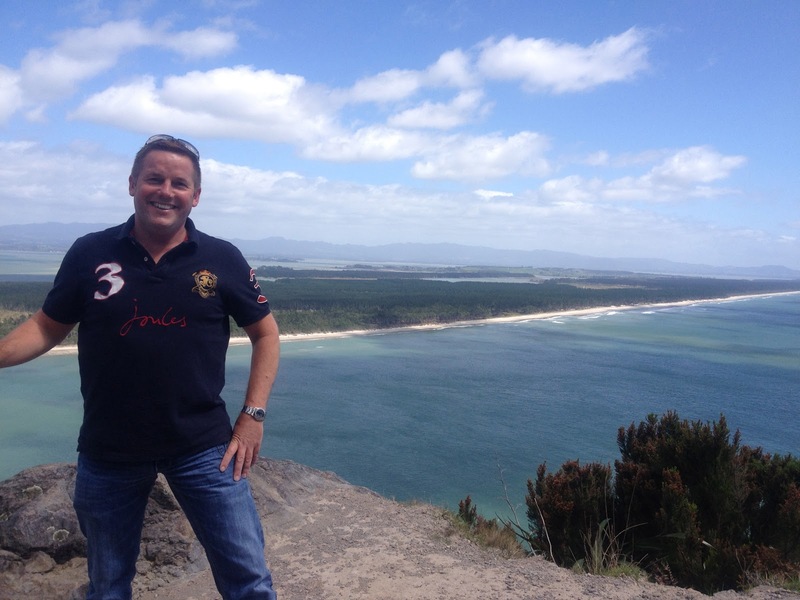 David was originally a member of my UK team, but he met a Kiwi lady and relocated to New Zealand and now runs a wealth education programme which operates along the same lines as Kevin Green Wealth. 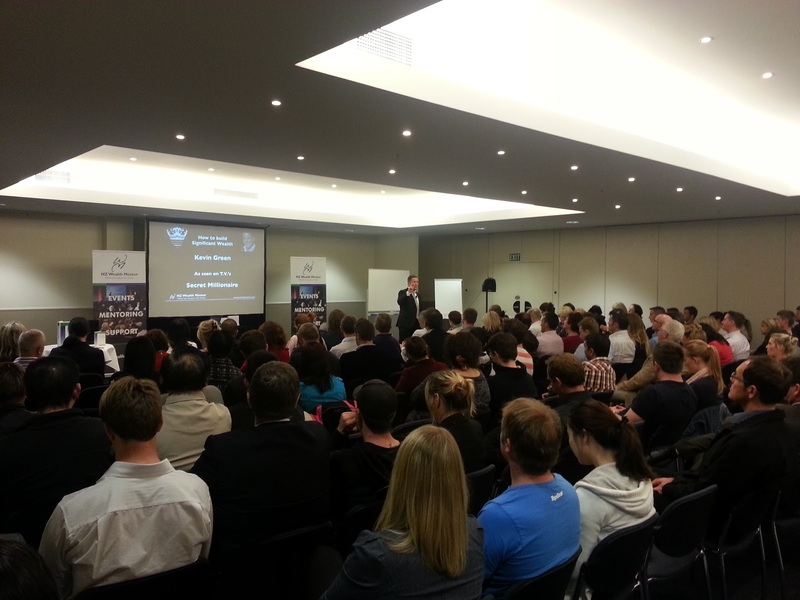 The speaking events were a great success and there was a real vibe and buzz in the room at every event. Plenty of great ideas and plenty of entrepreneurial spirit and the passion that drives success in business. I will be returning to New Zealand in January as friends of mine will be getting married in the new year. Never one to miss an opportunity, David will be putting on another big event in Auckland on January 26, so I'll be spreading my words of wisdom to the New Zealand business community once again. This latest trip was the ninth time for me to visit New Zealand. My first visit was back in 1999 when I was on a Nuffield Scholarship which saw me intervewing businesspeople and entrepreneurs to gather the secrets of their successes. New Zealand seems like a country on the up. Property prices are gaining a lot. There's also a lot of Chinese money coming in. In Auckland, for example, you will also see a lot of smaller busineses run by Chinese and Asians. New Zealand's economy is a bit behind the UK, while the impression is that neighbour Australia is starting to feel the squeeze. A lot of people in New Zealand are very keen to get into property. The psyche of the Kiwi seems very similar to the Welsh in that they want to own land and property. Everyone attending the speaking events seemed very receptive to what I had to say. It was a bit of a whirlwind tour of New Zealand, but hugely enjoyable and rewarding. I did manage a bit of 'me time' while I was there, just towards the end of the tour. I was able to take in the world triathlon event and visited some memorable places, including Waiheke Island, which is just off Aukland in a rain shadow area. There are some 40 vineyards on island and it's all very swish. I enjoyed my time at the Mudbrick vineyard, which is on the brow of a hill with views back to Aukland and the sky tower. Just remembering it, brings a smile to my face. All in all, a great trip - and I'll be seeing New Zealand again very soon. Photos: Top, speaking at an event in Auckland; middle, on top of Mount Maunganui; bottom, Mudbrick vineyard, Waiheke Island. Helping others create wealth . . .